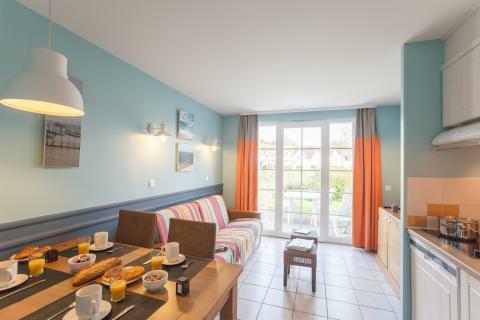 Pierre & Vacances Village Belle Dune in Fort-Mahon-Plage - the best offers! 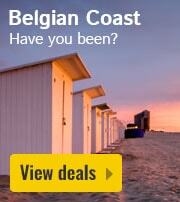 Only 2 hours from the bustling city of Paris, you and your loved ones can stay in peace on the French Picardie coast. Beautiful views, quality time and a relaxing stay are the focus here. 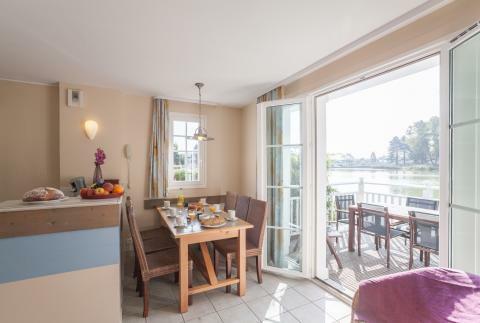 This price applies to 5-person cottage Quartier Maisons de la Plage Standard BLL5S, with the arrival as 8 May 2019, 2 Nights. 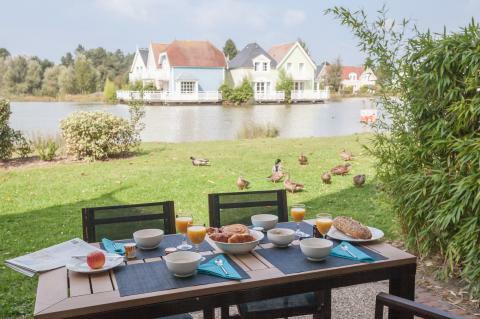 This price applies to 6-person cottage Maisons de la Plage Standard BLLM6F, with the arrival as 8 May 2019, 2 Nights. This price applies to 6-person cottage Standard BLLM6S, with the arrival as 8 May 2019, 2 Nights. This price applies to 8-person cottage (max. 6 adults) Standard BLLM8S, with the arrival as 8 May 2019, 2 Nights. This price applies to 6-person cottage (max. 5 adults) Superior BLLM6P, with the arrival as 8 May 2019, 2 Nights. 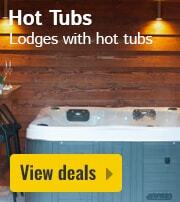 This price applies to 8-person cottage (max. 6 adults) Superior BLLM8P, with the arrival as 8 May 2019, 2 Nights. 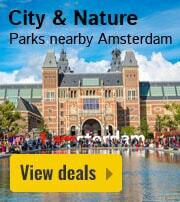 This price applies to 4-person apartment (max. 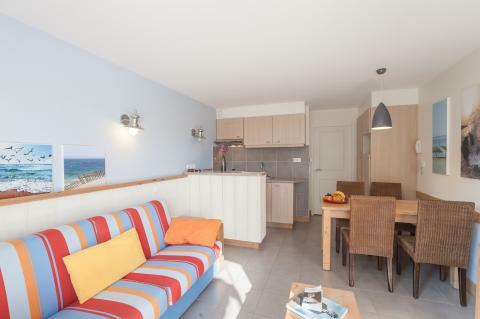 2 adults) Studio Standard BLL15, with the arrival as 8 May 2019, 2 Nights. 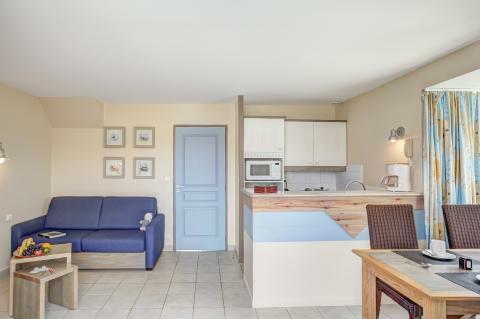 This price applies to 4-person apartment Standard BLL24, with the arrival as 8 May 2019, 2 Nights. 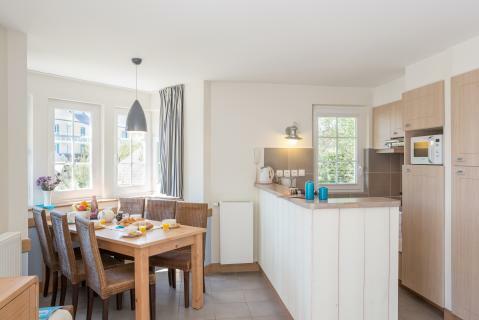 This price applies to 6-person apartment Standard BLL36, with the arrival as 8 May 2019, 2 Nights. 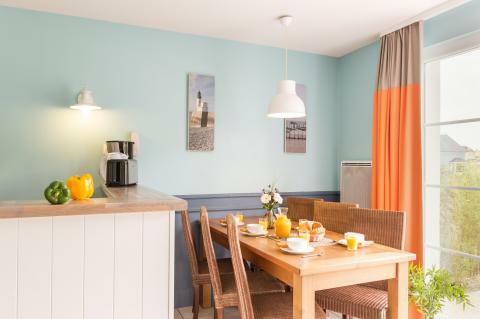 This price applies to 12-person group accommodation Maisons de la Plage Standard BLLM6T, with the arrival as 8 May 2019, 2 Nights. Holiday Village Belle Dune is an eco-friendly holiday park consisting of several apartment complexes and holiday homes. 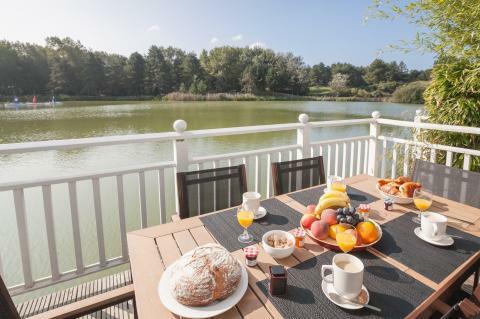 Enjoy a wonderful holiday in this French holiday park surrounded by the beautiful natural landscape of the coast. One of the things that make Holiday Village Belle Dune stand out is the heated Aqua club. Here you will find four different water landscapes where you can enjoy a hot tub, whirlpool and various water slides. In the summer, the outdoor area is also open offering even more water slides and water play equipment. In the autumn, the outdoor pool will be exchanged for a sauna and hammam. Do you need some physical exercise? Then dive into the fitness room, hit some balls on the tennis court or show off your skills during archery. This park also offers one of the ten best golf courses in France. Themed evenings are organised daily, for both young and old to participate in. 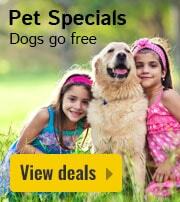 Children between the ages of 3 to 17 can enjoy the so-called seasonal Junior Club. A professional animation team provides events including themed evenings and treasure hunts. In addition, there is the Le Spot where young people can come together to hang out with friends. For the little ones there are also plenty of playground areas. In the central square, you will find both a restaurant and a shop. 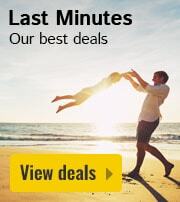 It is possible to book a package for breakfast, half board or meal cards for your holiday. 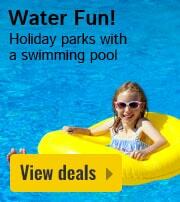 Please contact the holiday park after you have booked your stay. A car-free policy applies in the holiday park. You can join a bike tour and explore the nature of dunes and beaches in a healthy and environmentally friendly way. For example, visit the sandy beach at Fort-Mahon which is 2 kilometres away. And if you are in the area, you should definitely visit the Bay of the Somme, one of the most beautiful bays in France. Nature lovers also like to take a tour through the Parc du Marquenterre where birds are protected, and the most beautiful bridal paths are marked out. If you are more interested in history, make sure you visit Regnière-Écluse and the beautiful garden.